Our 80 climatized first-class hotel rooms are furnished in a modern and comfortable style. Guaranteed rejuvenation from stressful everyday life: Relax in our very own sauna which is open from 4 to 10 pm. We have fine wines available for you in our underground treasure chamber, our wine cellar. Enjoy pure joie de vivre in our homey atmosphere. Experience the Black Forest! Discover Freiburg and the Black Forest in all of its facets and beauty. Freiburg, Cathedral and the “Bächle“ (streams) – You can explore many other interesting sights during a leisurely stroll through the old town. Let us know your wishes, we will help you with the organization! 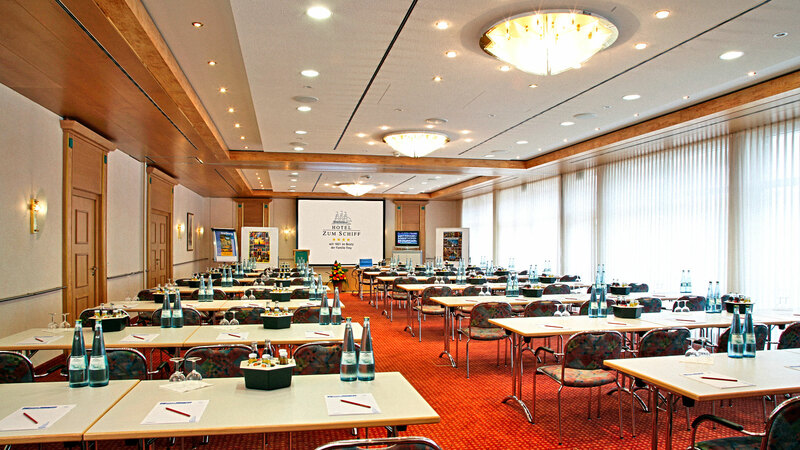 It doesn't matter if it's a family celebration or a business seminar, we have the right venue.